The American College of Sports Medicine and other medical institutions link cardiovascular fitness with a reduced incidence of high blood pressure, heart attack and stroke. Cardiovascular exercise is also associated with lower body weight and of course improved sports performance. 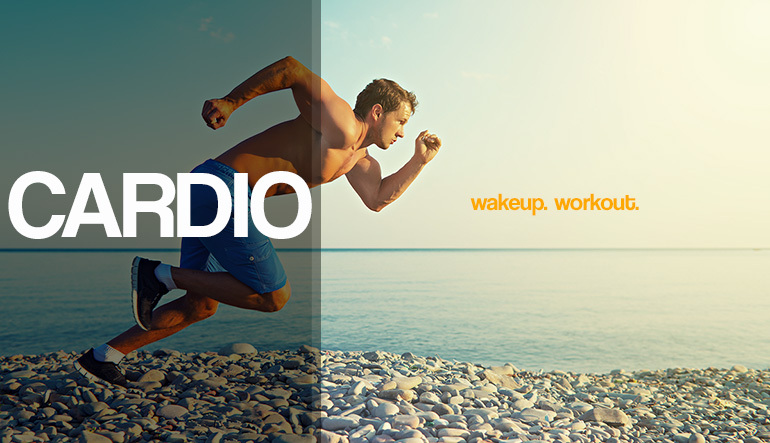 In other words regular cardio means, you’ll look better, be healthier and feel spectacular. Despite the fact that cardio is the nucleus around which most people build their workouts, cardio is mostly something a lot of us just “turn up to and do” with little in the way of planning. It’s a real shame because, if you are going to take the time to turn up and work out, surely you want to get the best benefits possible? In that spirit, rather than just “doing cardio”, there are a number of recognized types of cardio training you can do to break through that weight loss plateau and take your fitness levels to higher heights than you ever thought possible. Many of these training methods hail from running, which means the terminology used is often running-based. But don’t let that put you off. If a training technique uses the term “running”, it’s merely for illustrative purposes and you can just as easily cycle, swim, row or even jump rope your way through them. So long as you adhere to the principles of each method, you will get the results that each method is designed to deliver. * Easy week before building back up again. Cardio training can be a whole lot more involving than simply heading out for a jog around the same route you always use or turning up to some arbitrary exercise class at a local fitness centre. By using a variety of variety of cardio training modalities and methods, keeping your heart and lungs in great shape need never be boring and your fitness levels will climb and climb! Myers, Jonathan. “Exercise and cardiovascular health.” Circulation 107.1 (2003): e2-e5. Benson, Roy, and Declan Connolly. Heart Rate Training. Human Kinetics, 2011.